Very few people ever expect to come home and find a flooded basement. While there are times a homeowner may be watching the news and waiting for a nearby river crest, most of the time a flooded basement is a surprise. A freshwater pipe has burst, a sewer has backed up, or a light well has collected too much water and suddenly spilled out all of its contents into the basement. Suddenly it’s time to contact an emergency plumber. So while a flooded basement might be a surprise to many, there are ways to prepare for it. Here are some preparations you might want to make before you come home to a ruined basement. Having a sump pump is one of the best pieces of ancillary equipment you can have installed in your home. A sump pump is a pump that sits below the concrete level of your basement. When water reaches it, it starts to pump water up and out of your home automatically. While it won’t save your carpet if you have a furnished basement, it will prevent the water from getting up to any measurable level. If you don’t have a sump pump, call Garvin’s for sump pump installation. If you do have one and haven’t tested it in a while, give us a call and we’ll make sure to perform standard sump pump maintenance on it. If it’s not working, we’ll take care of your sump pump repair. Another way to prepare for flooding is to keep anything in the basement in waterproof containers. This will make it easier to protect items that you cherish but that you don’t have room for on the upper levels of your house. Most flooded basements don’t reach more than six inches high, so make sure your containers will be at least that high. Buy shelves so that as much stuff is off the floor as possible. If something does get wet (especially if it’s in sewer backup water), at least you’re just throwing away a $10 tote instead of family photo albums. It seems there are as many different types of home insurance as there are homes. 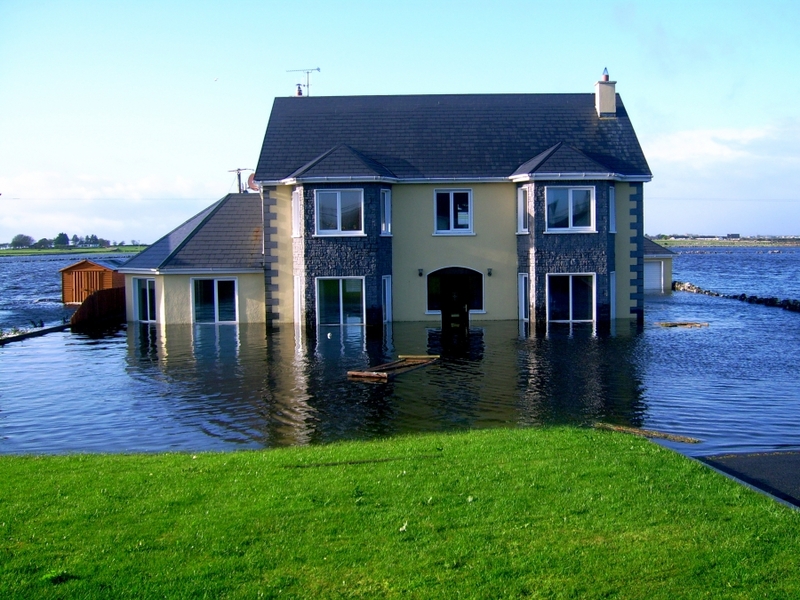 Make sure that you’re covered for different types of water damage. For instance, you might be on the top of and be able to bypass flood insurance. In this circumstance, you’ll still want to have insurance that covers sewer back-up. Talk to your insurance agent to ensure you’re covered. When we show up as to your basement as your emergency plumber, we want to hear the sound of the sump pump humming and see your basement belongings nice and dry inside their container. Then we’ll get to work getting rid of all that water. Contact us when you’ve got trouble.